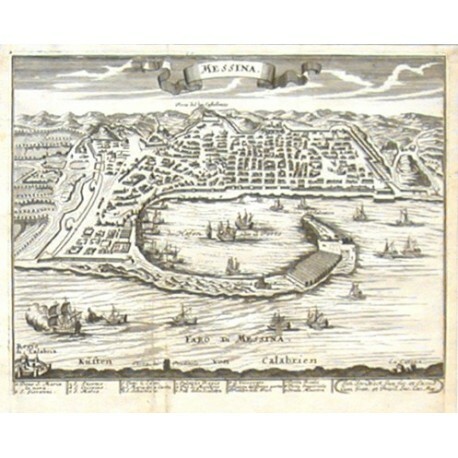 "Messina". Orig. copper-engraving by Joan Striebeck jun. (1707-1772), printed ca. 1740. 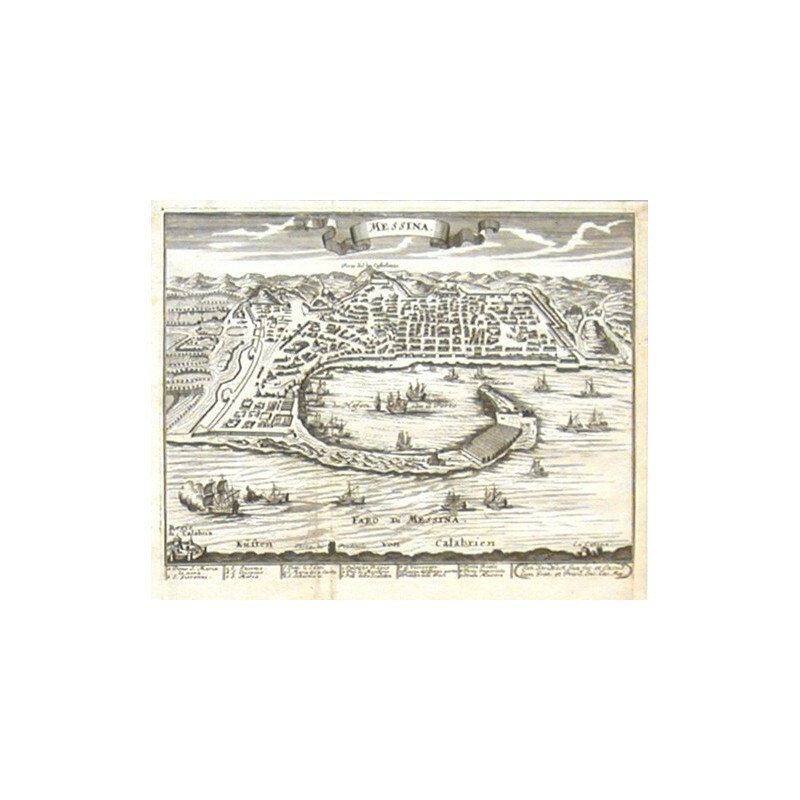 Birds-eye-view of the city and the port with many ships and with description below the picture. 15:19,5 cm.